Leonhard Euler – Swiss mathematician, physicist, astronomer, logician, and engineer. 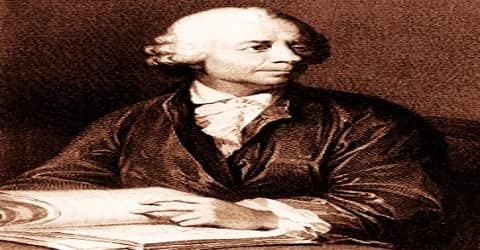 A Swiss mathematician and physicist, one of the founders of pure mathematics, Leonhard Euler were born on 15 April 1707, in Basel, Switzerland to Paul III Euler, a pastor of the Reformed Church, and Marguerite née Brucker, a pastor’s daughter. He not only made decisive and formative contributions to the subjects of geometry, calculus, mechanics, and number theory but also developed methods for solving problems in observational astronomy and demonstrated useful applications of mathematics in technology and public affairs. He also introduced much of the modern mathematical terminology and notation, particularly for mathematical analysis, such as the notion of a mathematical function. He is also known for his work in mechanics, fluid dynamics, optics, astronomy, and music theory. Many concepts of modern mathematics originated from the works of this eminent mathematician whose works also spanned the fields of mechanics, fluid dynamics, optics, and astronomy. Euler’s interest in mathematics stemmed from his childhood when his father would teach him the subject. As luck would have it, Johann Bernoulli, Europe’s foremost mathematician of his time, was a friend of Leonhard’s father and the influence of this great mathematician on the young Leonhard was immense. Euler’s father wanted to prepare him for a career in theology and it was Bernoulli who persuaded his friend to let the boy study mathematics. Throughout his working career, Euler authored several textbooks and memoirs in which he introduced many concepts, especially in the area of mathematical analysis. A prolific mathematician, his works cover several areas of the subject such as algebra, geometry, calculus, and trigonometry and number theory. Two numbers are named after him: Euler’s Number in calculus, e, and Euler-Mascheroni Constant, γ also called “Euler’s constant”. He was plagued by deteriorating eyesight which rendered him almost blind, yet his productivity never suffered. 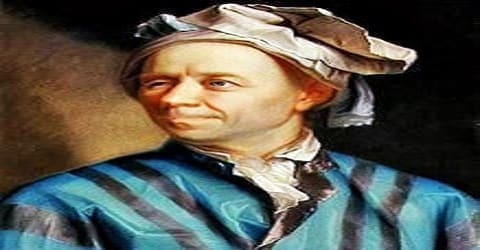 A Swiss mathematician and physicist, Leonhard Euler was born on 15 April 1707, in Basel, Switzerland, to Paul Euler and Marguerite Brucker. His father was a pastor of the Reformed Church while his mother was the daughter of a pastor, thus Euler was raised in a religious environment. He had two younger sisters: Anna Maria and Maria Magdalena, and a younger brother Johann Heinrich. Soon after the birth of Leonhard, the Eulers moved from Basel to the town of Riehen, where Euler spent most of his childhood. 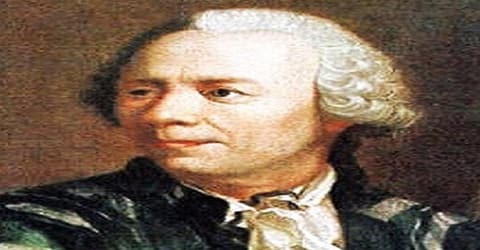 Paul Euler was a friend of the Bernoulli family; Johann Bernoulli was then regarded as Europe’s foremost mathematician, and would eventually be the most important influence on young Leonhard. When he was only thirteen, Euler entered the University of Basel receiving his Master’s degree in 1723 with a brilliant dissertation to his name, the likes of which could be compared to Issac Newton and René Descartes. On insistence by his father, Euler also studied other subjects such as theology, Greek and Hebrew. Johann Bernoulli who was teaching Euler at the time articulated to his father that he was destined to become a great mathematician and that he should not go for the priesthood. In 1726, Euler completed a dissertation on the propagation of sound with the title De Sono. At that time, he was unsuccessfully attempting to obtain a position at the University of Basel. In 1727, he first entered the Paris Academy Prize Problem competition; the problem that year was to find the best way to place the masts on a ship. Pierre Bouguer, who became known as “the father of naval architecture”, won and Euler took second place. Euler later won this annual prize twelve times. On 7th January 1734, Leonhard Euler married Katharina Gsell (1707-1773), a daughter of Georg Gsell, a painter from the Academy Gymnasium. The young couple bought a house by the Neva River. Of their thirteen children, only five survived childhood. Three years after his wife’s death, Euler married her half-sister, Salome Abigail Gsell (1723-1794). This marriage lasted until his death. Euler suffered a near-fatal fever in 1735 which caused severe deterioration in his eyesight; he almost went blind in one eye. Over the years his vision worsened and he spent his last years in total blindness. In 1727, Leonhard Euler took up a position in the physiology department in Imperial Russian Academy of Sciences in St. Petersburg on the recommendation of Johann Bernoulli. He was later promoted to the mathematics department. While in the Russian capital, Euler mastered the Russian language and decided to settle there permanently also taking up a job as a medic in the Russian Army. In 1731, he was given the post of Professor at the academy. After two years when Daniel Bernoulli left St. Petersburg, Euler was made the head of the mathematics department. Daniel, who held the senior chair at the mathematics department, left the job and Euler was appointed to this post in 1733. He was a prolific author and had written numerous articles and textbooks. His textbook ‘Mechanica’ was published in 1736-37 in which he presented Newtonian dynamics in the form of mathematical analysis. By means of his numerous books and memoirs that he submitted to the academy, Euler carried integral calculus to a higher degree of perfection, developed the theory of trigonometric and logarithmic functions, reduced analytical operations to a greater simplicity, and threw new light on nearly all parts of pure mathematics. Overtaxing himself, Euler in 1735 lost the sight of one eye. Then, invited by Frederick the Great in 1741, he became a member of the Berlin Academy, where for 25 years he produced a steady stream of publications, many of which he contributed to the St. Petersburg Academy, which granted him a pension. Concerned about the continuing turmoil in Russia, Euler left St. Petersburg on 19 June 1741 to take up a post at the Berlin Academy, which he had been offered by Frederick the Great of Prussia. He lived for 25 years in Berlin, where he wrote over 380 articles. In Berlin, he published the two works for which he would become most renowned: the ‘Introductio in analysin infinitorum’, a text on functions published in 1748, and the ‘Institutiones calculi differentialis’, published in 1755 on differential calculus. In 1755, he was elected a foreign member of the Royal Swedish Academy of Sciences. In addition to mathematics, Euler was also interested in astronomy and worked on developing a theory of lunar motion which involved the interactions of Sun, Moon, and Earth. He could only devise a partial solution which was published in 1753. He wrote a textbook in calculus, ‘Institutiones calculi differentialis’ in 1755 and another one, ‘Institutiones calculi integralis’ during the period 1768-70. These works served as the foundation for modern calculus as they contained formulas for integration and differentiation. Thus, Euler enriched mathematics with substantial new concepts and techniques. He introduced many current notations, such as Σ for the sum; the symbol e for the base of natural logarithms; a, b, and c for the sides of a triangle and A, B, and C for the opposite angles; the letter f and parentheses for a function; and i for Square root of√−1. He also popularized the use of the symbol π (devised by British mathematician William Jones) for the ratio of circumference to diameter in a circle. Euler proved Newton’s identities, and also several of the theories propounded by the mathematician, Fermat, including Fermat’s little theorem and Fermat’s theorem on sums of two squares. He worked on Fermat’s little theorem and using his own findings and the functions he had developed, he gave the Euler’s theorem, which is in effect a generalized version of Fermat’s little theorem. His works played a key role in the development of the Euler-Bernoulli beam equation which is today considered a cornerstone of engineering. Euler was also very popular for using his scientific findings to solve real-world problems. He introduced several notational conventions in mathematics through his numerous articles and textbooks. Most importantly he gave the concept of a function and was the first to write f(x). Euler’s health started to deteriorate. In 1735, he suffered from a fatal fever. After that in 1738, he lost eyesight in his right eye and cataract was found in his left eye in 1766. However, his blindness never got in the way of his mathematical career. Excellent memory and exceptional mental ability to calculate made up for his lost eyesight. So much so that he wrote one paper every week in the whole of 1775. Euler devoted considerable attention to developing a more perfect theory of lunar motion, which was particularly troublesome since it involved the so-called three-body problem the interactions of Sun, Moon, and Earth. (The problem is still unsolved.) His partial solution, published in 1753, assisted the British Admiralty in calculating lunar tables, of importance than in attempting to determine longitude at sea. One of the feats of his blind years was to perform all the elaborate calculations in his head for his second theory of lunar motion in 1772. Throughout his life Euler was much absorbed by problems dealing with the theory of numbers, which treats of the properties and relationships of integers, or whole numbers (0, ±1, ±2, etc. ); in this, his greatest discovery, in 1783, was the law of quadratic reciprocity, which has become an essential part of modern number theory. The introduction of modern notation for the trigonometric function is also credited to him as is the letter ‘e’ for the base of the natural logarithm. Euler worked in all branches of mathematics including infinitesimal calculus, geometry, algebra, and trigonometry. He was the first to present the concept of a function like notation of a trigonometric function along with introducing many notational conventions. He used the letter ‘e’ denoting the base of a natural logarithm called the Euler’s number. ‘Σ’ and ‘π’ were also his inventions. Euler worked with the number theory and Graph theory. He contributed immensely to the engineering field through his Euler-Bernoulli equation. He is recognized for use of diagrams of ‘closed curves’ to demonstrate ‘syllogistic’ reasoning. These are known as Euler Diagrams. Euler spent the last days of his life in Russia. Leonhard Euler first entered the Paris Academy Prize Problem competition in 1727 and won the second prize. He participated in this competition several more times and won the prize twelve times in his lifetime. In St. Petersburg on 18 September 1783, after a lunch with his family, Leonhard Euler was discussing the newly discovered planet Uranus and its orbit with a fellow academician Anders Johan Lexell, when he collapsed from a brain hemorrhage. Euler died a few hours later. il cessa de calculer et de vivre – … he ceased to calculate and to live. Leonhard Euler was buried next to Katharina at the Smolensk Lutheran Cemetery on Goloday Island. 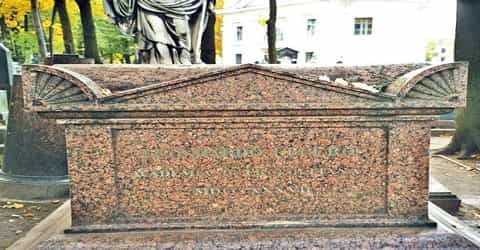 In 1785, the Russian Academy of Sciences put a marble bust of Leonhard Euler on a pedestal next to the Director’s seat and, in 1837, placed a headstone on Euler’s grave. To commemorate the 250th anniversary of Euler’s birth, the headstone was moved in 1956, together with his remains, to the 18th-century necropolis at the Alexander Nevsky Monastery. Euler is counted among the greatest mathematicians to have ever walked this earth. 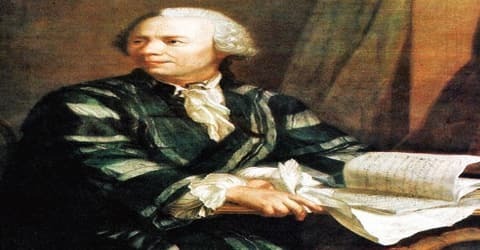 He had made tremendous contributions to the field of mathematics and is the only mathematician to have had two numbers named after him: Euler’s Number in calculus, e, approximately equal to 2.71828, and the Euler–Mascheroni constant γ (gamma), approximately equal to 0.57721. He helped develop the Euler–Bernoulli beam equation, which has widespread application in Civil and Mechanical Engineering. In his effort to replace synthetic methods by analytic ones, Leonhard Euler was succeeded by J.-L. Lagrange. But, where Euler had delighted in special concrete cases, Lagrange sought for abstract generality, and, while Euler incautiously manipulated divergent series, Lagrange attempted to establish infinite processes upon a sound basis. Thus it is that Euler and Lagrange together are regarded as the greatest mathematicians of the 18th century, but Euler has never been excelled either in productivity or in the skillful and imaginative use of algorithmic devices (i.e., computational procedures) for solving problems. Euler introduced several notational conventions. He was the first to write f(x) to denote the function, the Greek letter Σ for summations, and the letter ‘e’ for the base of the natural logarithm. Euler was featured on the sixth series of the Swiss 10-franc banknote and on numerous Swiss, German, and Russian postage stamps. The asteroid 2002 Euler was named in his honor. 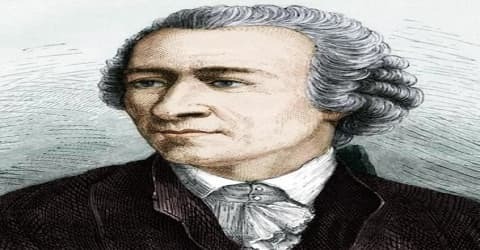 He is also commemorated by the Lutheran Church on their Calendar of Saints on 24 May he was a devout Christian (and believer in biblical inerrancy) who wrote apologetics and argued forcefully against the prominent atheists of his time.